After a long day of sales calls, solving customers’ problems, and supporting the field, it’s not surprising that your sales team adopts some bad habits. It’s not just your restoration business. As a whole, the restoration industry has instilled some bad habits into its salespeople. However, that doesn’t mean you can’t fix them, and it’s crucial that you do. These bad habits can limit the effectiveness of your sales team’s efforts, and prevent them from achieving better results. Regardless of experience, background, years served in the industry or the level of success they have enjoyed so far, these 3 bad habits are detrimental to anyone in sales and the company’s they work for. 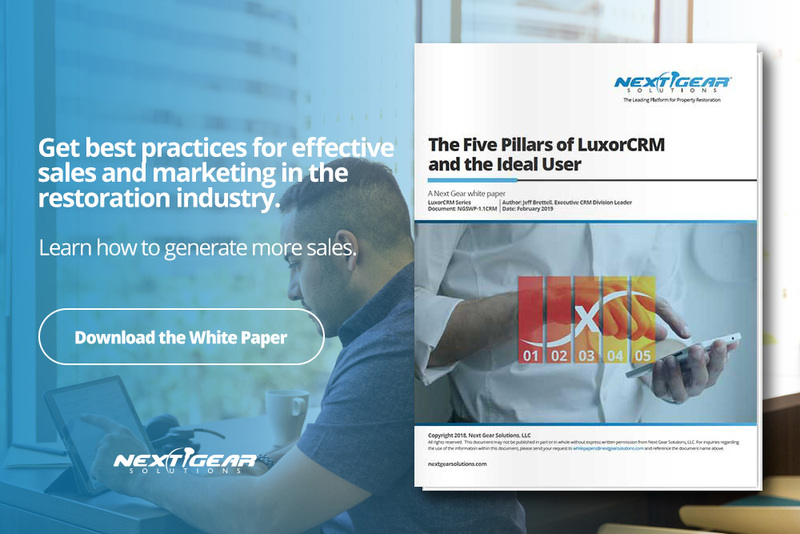 Our Customer Relationship Management (CRM) team routinely reviews LuxurCRM accounts and found that salespeople gather thousands of contacts and enter them into their CRM. Naturally, these reps think this vast pool of contacts is “theirs” and gives them the best possible chance of hitting their numbers. In other words, more contacts mean higher sales. Whether the number is 700 or 3,000 contacts, this “hoarding” mindset won’t produce the results these salespeople are looking for. Instead, we find that most of the contacts owned by reps in this situation are neglected, or given a much lower level of service than is required for nurturing and growth. Truthfully, your salespeople will spend more energy fighting to keep these contacts than they did “working” them while they had them. Putting a stop to this bad habit will directly impact your team’s ability to focus and produce more wins with the most critical accounts in their books. Quick Tip: A quick review of your CRM will reveal whether your salespeople are falling into the trap of hoarding contacts. If they are, keep reading, because the next two habits will be inescapable too! This formulais the fastest way to identify whether or not your salespeople are working from a valid, executable sales plan, or if they’re just collecting contacts and crossing their fingers for the best outcome. 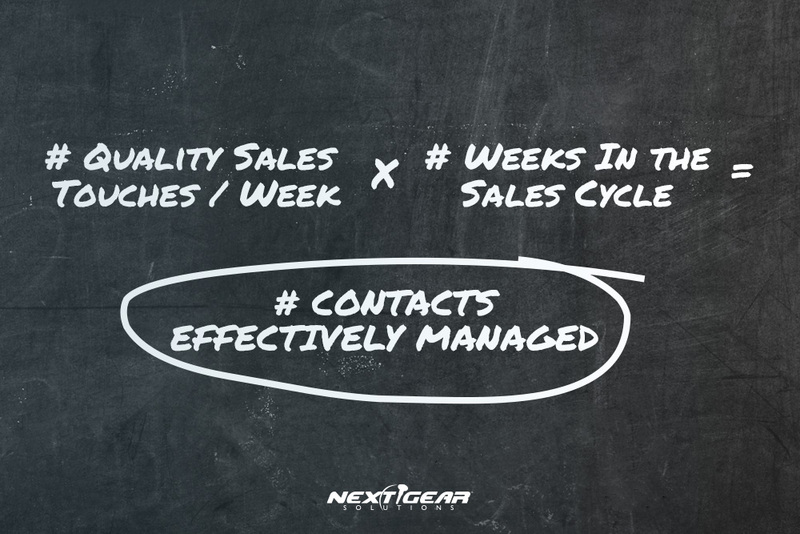 When the number of meaningful sales touches they can have in a given week multiplied by the number of weeks in the sales cycle equal less than the number of sales rep’s contacts in your CRM, you know that rep can’t effectively execute on their most basic plan. The plan was meant to be applied to all of their accounts, with tactics that need to work for each of their contacts. However, most salespeople don’t realize capacity impacts their ability to succeed. By focusing on quantity and collecting contacts, rather than understanding the constraints on their efforts by exceeding their functional capacity, salespeople limit their results and fail the sales plan. With a CRM, you can start seeing a pattern of the average number of quality sales touches for your salespeople regularly. You probably have an idea on the length of time your sales reps can go before reengaging their contacts. 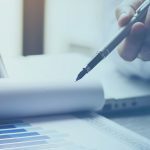 Having sales data at your fingertips can quickly identify where your sales team is suffering and start the process of coming up with ways to fix it. At the root of all bad sales habits is a general unwillingness to “fire” contacts and risk not getting the glory if they eventually bite. Here in lies another challenge for sales reps—a basic failure to understand the power of effective sales prospecting and qualifying. Across all industries, including ours, salespeople routinely fail to qualify their contacts and as a result, continue to hold on to people who produce less than $10,000 annually. For reps who are targeting $1,000,000 or more in annual sales, this indicates that they don’t know who to move on to the next sales phase versus who to lose. But what happens when you don’t qualify leads effectively? You’re essentially throwing spaghetti on the wall to see what sticks and it will hurt your potential sales results. You’ll waste time and energy chasing the wrong leads and become a crocodile salesman—big mouth and no ears. 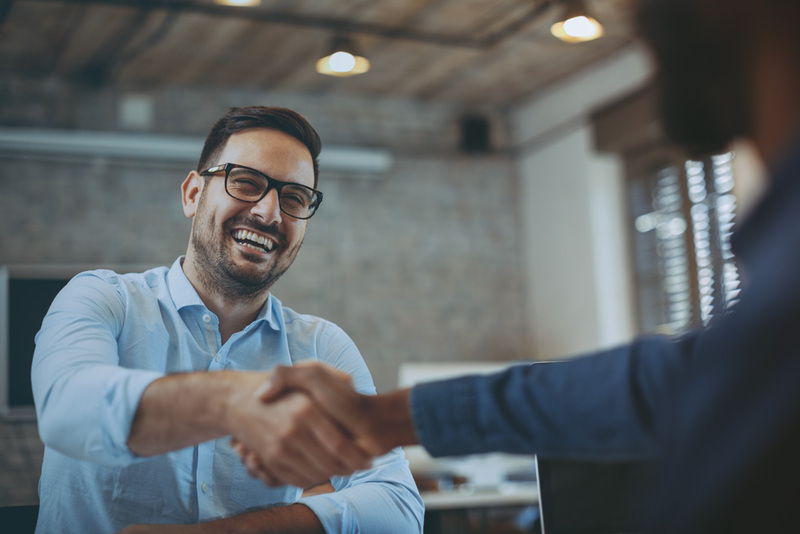 The best approach to qualifying leads is to ask a series of questions to help the salesperson understand the prospect’s business needs, decision-making process, and budget. 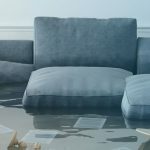 Active qualifying can take weeks or even months, but the result of “digging deep” is salespeople who are better at identifying quality leads and forecasting performance. Truly understanding a contact’s motivation and history, plus the potential to become a loyal customer, helps salespeople determine which contacts to invest time and energy in, and which ones to turn over to “the house” to try and close. By clearing their bloated contact list, they’ll regain the focus needed to quickly and effectively convert the right contacts. By shedding these 3 bad habits from your sales process, your sales team will be well equipped to achieve better results. That means more money added to your bottom line. Your CRM should give you insight into the sales qualifying process and measure the effectiveness of your salespeople at mastering this critical sales step during every sales interaction. When was the last time you reviewed your restoration business’ sales approach to help your team to improve their chances of winning? 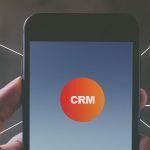 Equipped with the best CRM for your restoration business, you’ll ensure your sales team doesn’t slip back into bad habits while giving you the power of seeing real-time results of your efforts to build a more focused approach to sales.